I’m always on the look out for a new idea for a fun family day trip. 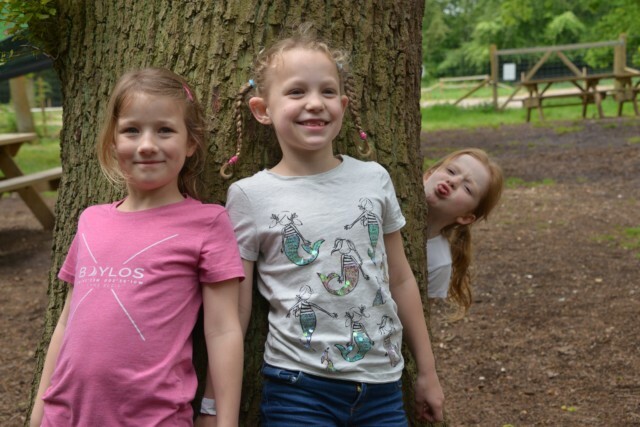 My three bigger children love to be outside, but get quickly bored at home in the garden so I try to get us further afield as much as possible. Zak has been lucky enough to enjoy several Go Ape Junior experiences since he was a brave little 5 year old and was most excited to finally be old ( and tall enough ) to try the big version towards the end of last year. 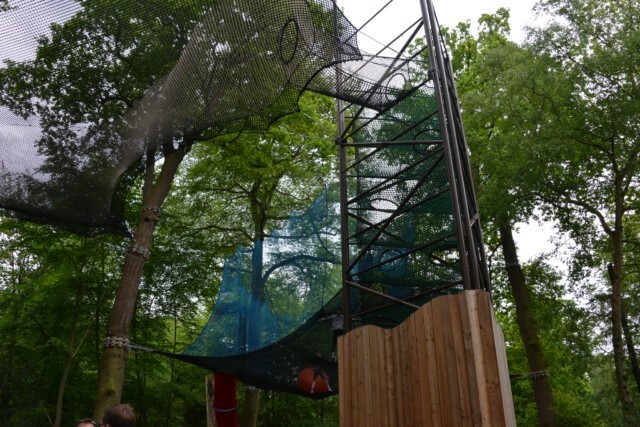 One of my children isn’t the biggest fan of heights and although she does enjoy Go Ape Junior, she’s quite cautious as she goes around the course. At Nets Kingdom however she has no such fears. Where and what is Nets Kingdom? 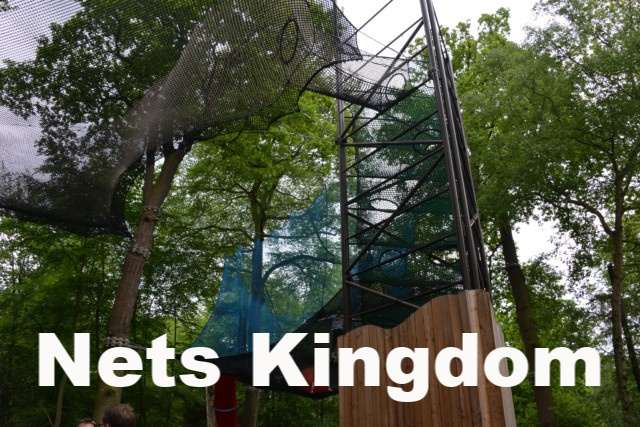 Nets Kingdom is exclusive to Black Park, Uxbridge. The Nets are nestled high in the tree tops, but feel completely safe. Visitors get a short safety briefing to start and a magical 2 hours to race around the nets. We met friends there who live about an hour in the opposite direct from Nets Kingdom to us, making it the perfect meeting place and the 2 hour time slot is perfect for some grown up catching up time while the kids got to know each other again. 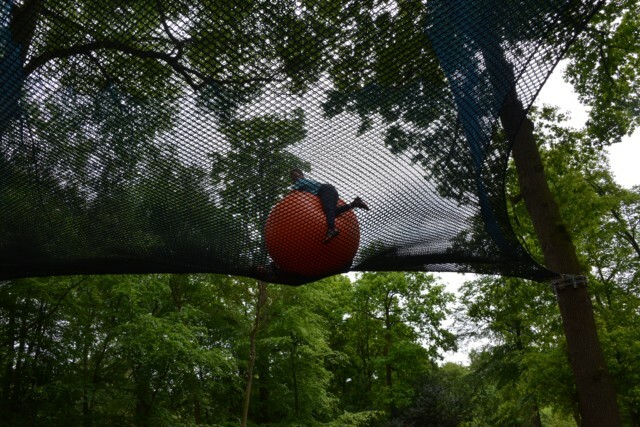 We visited on a Sunday morning and it was quite quiet, meaning the kids had plenty of space to explore, but also had enough people around to make bouncing the huge balls more exciting. There are two huge red slides leading down from the nets which look a lot scarier than they are. The material means children don’t fly down them at massive speeds, but they’re still fast enough to be fun. Nets Kingdom is great for adults if you want to sit, enjoy a coffee and watch and also if you want to take part. We bounced around with the kids for a bit, had a coffee break and then bounced around again. It was a brilliant, active morning for the whole family. There are plenty of picnic tables set inside Nets Kingdom so you can take your own food and picnic while the kids bounce around. It’s pretty easy to see the whole ( about the size of Wimbledon’s Centre Court ) area from underneath too, so if you have younger children you can easily keep an eye on them without being too involved. It was great for us with little Charlie too as we could sit and play with him out of the pushchair while the big ones played up in the trees. It’s a really amazing ( and safe ) place for big and little children to clamber, bounce and explore in the trees. How much is Nets Kingdom? 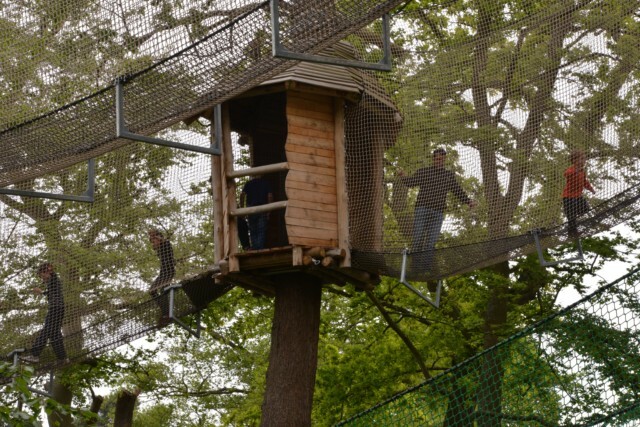 See the Go Ape Website for more details. What else is at Black Park? Black Park covers over 500 acres of woodland, heathland and open space in South Buckinghamshire. There’s a large adventure playground and miles of beautiful woodland tracks and trails set around a beautiful lake. Guests only pay for parking so it makes a fantastic inexpensive day out. We’ll definitely be visiting again. 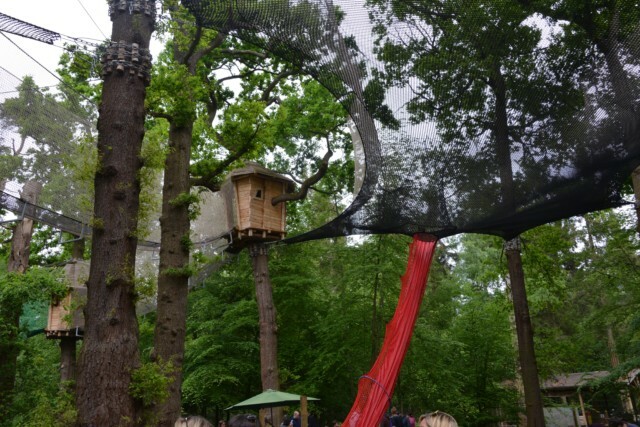 This looks a great day and definitely a good alternative to Go Ape. The slides sound pretty ace too! Black Park is lovely, it’s our local park! I had no idea about this so will have to check it out over the Summer. Oh wow! You’re very lucky and I would 100% recommend Black Park. I like this idea. It somehow seems less terrifying than Go Ape! The huge ball looks fun. We really loved it, a brilliant 2 hours!